Who will like A-Town Blues? Let's hear it in Wayne's own words: "If you like music that moves and the trash on the radio can't satisfy your wanderlust then try this album and burn a thousand miles." The "Train's" first album for his longtime fans at Bloodshot. Wayne possesses one of the most instantly identifiable voices in roots music and wraps it around whacked-out hillbilly barnburners, dusty desert ballads, and Hank Williams meets George Gershwin dance floor warmers. Backing him is a band of blazing hot players who swing like they fell out of the cradle clutching Bob Wills records and Duke Ellington teething rings. Produced by Lloyd Maines (Wilco, Richard Buckner, Joe Ely), A-Town Blues is loose and live, baby. Cut in 20 hours and mixed in two days--no trickery or effects, just the finely honed chops of a band that’s been known to play 200+ dates a year. Pedal steel, guitars, and buckhouse bass--that’s it. They swing through a set of songs that reflect Wayne's scorn for the soulless, pocketbook-driven sounds that ooze out of Nashville; songs that reminisc e about old friends and family; songs that sing praises to the road ("Man of the Road," "Life's Lonesome Road") and songs that rue the hazards of hooch (the jumpy "Miller, Jack & Mad Dog," "A-Town Blues"). For covers, Wayne digs deep into the American music mists: Ella Mae Morse's "Cow Cow Boogie," a chugging version of Jimmie Rodgers' "California Blues" and Fats Waller's paeon to the magic herb "Viper." All the tracks are perfect embodiments of a classic American roots style, done with style and grace. 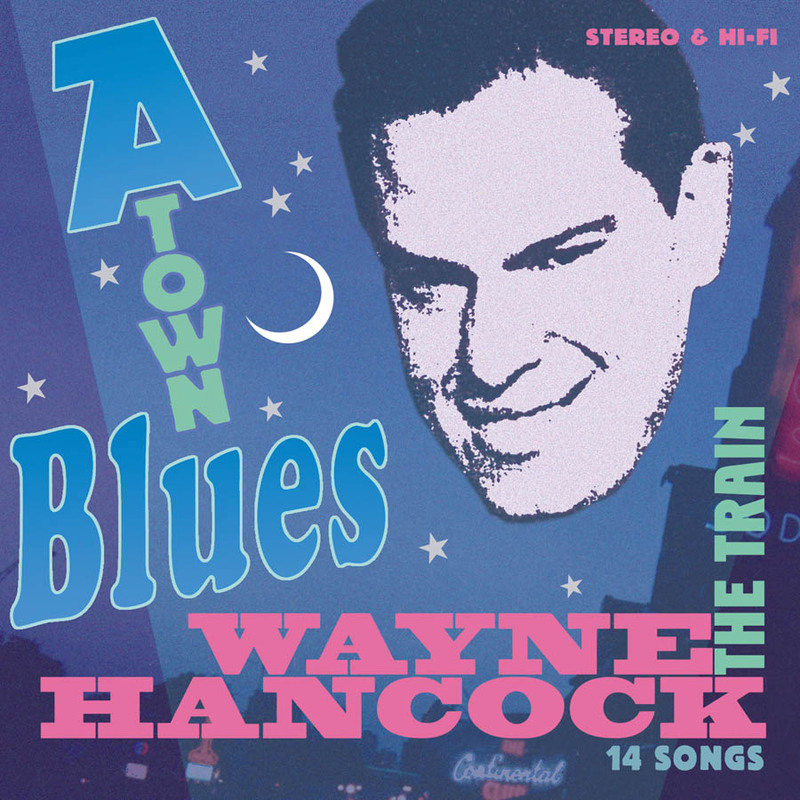 The common thread through all of the tracks on A-Town Blues is Hancock’s total commitment to the material. When this commitment is paired with the dynamism of his supporting musicians, it results in explosively good music. Many of the acts that have been dubbed ‘Americana’ tend to be reverential and dry--not Wayne Hancock, who has a unique gift for taking moribund musical forms and making them spring to life. In the end, you don’t love Hancock because of past stars of whom he reminds you. You love him because you’d be a durn fool not to. There's two reasons you won't hear him on so-called country stations: he's too good and too uncompromising. In an earlier era, Hancock would have been a top honky-tonk star.